*Use the 52 Week Photo Challenge hosted by some of our Haiku Challenge friends in unison with the above prompt words. This week’s photo prompt is Secret. Click HERE to see the full 52 prompts. And yes, EXTRA can be used with the Haiku words, although I didn’t plan it that way this week. 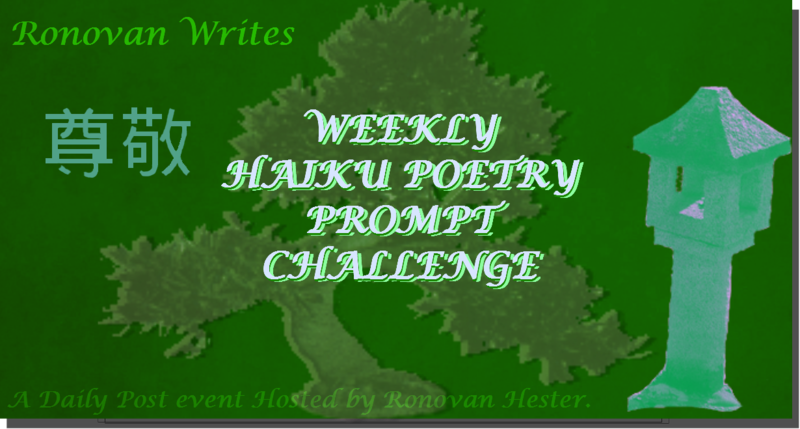 ← FRIDAY FICTION with RONOVAN WRITES Prompt Challenge #20-You meet a professor. Aw man! Annette you beat me again lol!!! The time between waking up and the puppies waking up…daily writing time. Hoping that dawn’s fraying cloak will have cleared by the time for “walkies”. A cheery Monday morning to all.. Sorry, forget that one: I omitted the fray. I’ll think again. Here’s the link… Have a great week Ronovan! This prompt brought back many memories. Hi Ronovan. Just finished this weeks Haiku only to discover it is my 500th post! Is that a lot? I have no idea but I am glad it was for your challenge. Ah, then for a year and a half you are doing well with moderation. 🙂 I have just over 1500 at the 2 year mark. And I’m happy I was your 500th! 😀 Somehow that sounds kind of wrong. Muahahhaahaa. What a pair to deal with this week. Ha! It’s great to be returning to writing and a great blogging community like this! Thank you for the new prompt, Ronovan. Be sure to check out the sticky post on my front page. You’re invited! Slotted into place today – or perhaps it is getting easier! Thanks for hosting. These were good challenge words, for me at least. As soon as I had the opportunity to meditate on them a few minutes an idea popped! Thanks again for all you do. Timely article – I learned a lot from the specifics , Does anyone know if my company could possibly find a template DA 31 document to complete ?